Alice Fordham Alice Fordham is an NPR International Correspondent based in Beirut, Lebanon. 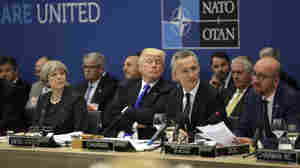 July 12, 2018  President Trump says the NATO alliance is "very strong," appearing to reverse his earlier criticism of the organization after meeting other NATO leaders in Brussels. July 12, 2018  We have an update on President Trump's visit to the NATO summit after he berated NATO allies for not spending enough on their militaries. 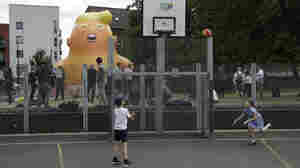 July 11, 2018  President Trump arrives in the U.K. after a bitter NATO summit. Demonstrators will be waiting for him. July 10, 2018  Trump has shown he has no qualms about upending established policies or pacts with global partners, and has explicitly tied security issues to trade and economic ones. That's making allies nervous. July 10, 2018  On the eve of the NATO summit, European leaders brace for more prodding from President Trump about their level of defense spending and threats to reduce the U.S. military footprint on the continent. July 6, 2018  With less than a year before the U.K. leaves the European Union, Prime Minister Theresa May takes her cabinet on a retreat, hoping to agree on a approach to negotiating the terms of Brexit. July 5, 2018  British police say two people who fell ill Saturday were poisoned by the same nerve agent used to attack an ex-Russian spy in a nearby town in March. It's unclear if the new victims were targeted. July 4, 2018  British police say a couple who were found gravely ill on Saturday had been poisoned with the same nerve agent that was used in an attack earlier this year on a former Russian spy and his daughter. July 3, 2018  Britain is no closer to a post-Brexit trade plan and manufacturers like Airbus are threatening to leave, endangering hundreds of thousands of jobs. May 26, 2018  Ireland voted on Saturday to repeal the country's ban on abortion. May 25, 2018  The people of Ireland vote Friday in a referendum that could change the country's strict abortion laws. The issue has sharply divided the nation, with thousands of Irish expats flying home to vote. May 24, 2018  Voters in Ireland will go to the polls Friday for a referendum that could change the country's strict laws against abortion. Even though the Catholic Church is strongly opposed to changing the law, it has been strangely muted during the fierce national debate. 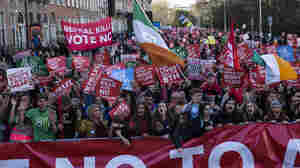 May 24, 2018  Voters in Ireland will decide on Friday whether they want to repeal a constitutional amendment that protects "the right to life of the unborn." 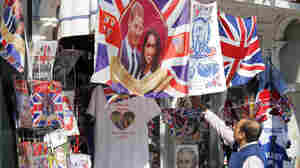 May 17, 2018  "People like them," a London souvenir shop employee says of Prince Harry and Meghan Markle. "They're a bit cool, aren't they?" And, he says, "For our business, they're absolutely essential." April 10, 2018  Central American communities that have grown used to the remittances sent back from migrants living in the United States often experience a painful readjustment when the migrants are sent home.